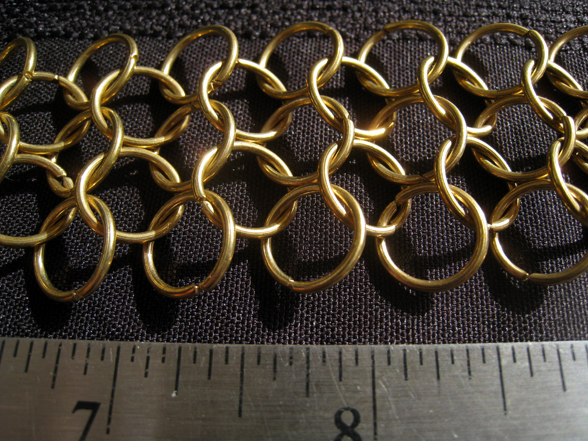 Chainmail is sold by the inch. Great for necklaces, bracelets, belts, and more. Be sure to specify number of inches when ordering. Brass is delicate and will darken over time. 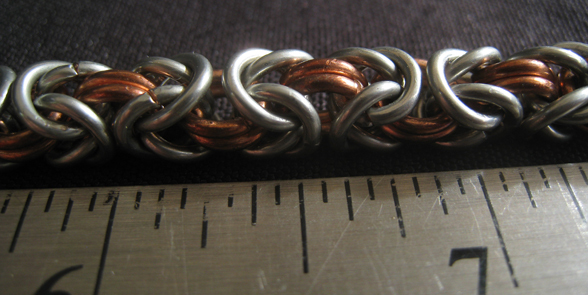 This weave is called European 4 in 1 chainmail. 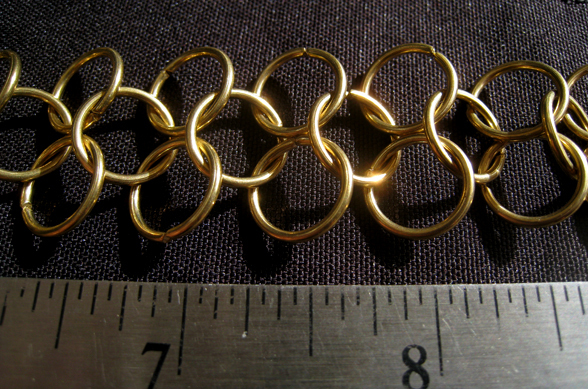 The top image is 3 rings wide. 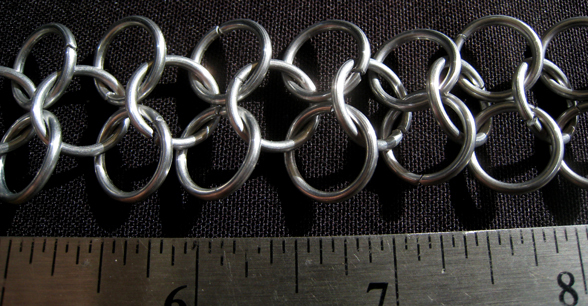 The bottom image is 5 rings wide. Aluminum will not darken over time and is strong and lightweight. Aluminum and anodized aluminum will not darken over time and are strong and lightweight. 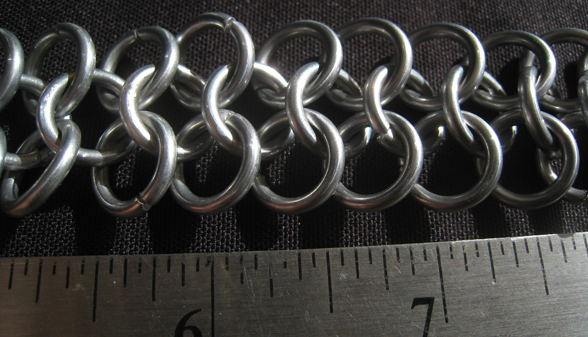 This weave is called 3 in 2 Byzantine chainmail and is available in rainbow, aluminum, and custom color combinations. Please contact us for special orders. Jewelry grade copper and silver-plated copper are coated to prevent tarnish but may darken over time. The rings are handmade and the chain is thin, strong, and heavy. The weave is 2 in 2 Byzantine. Brass may darken over time. Aluminum will not tarnish.